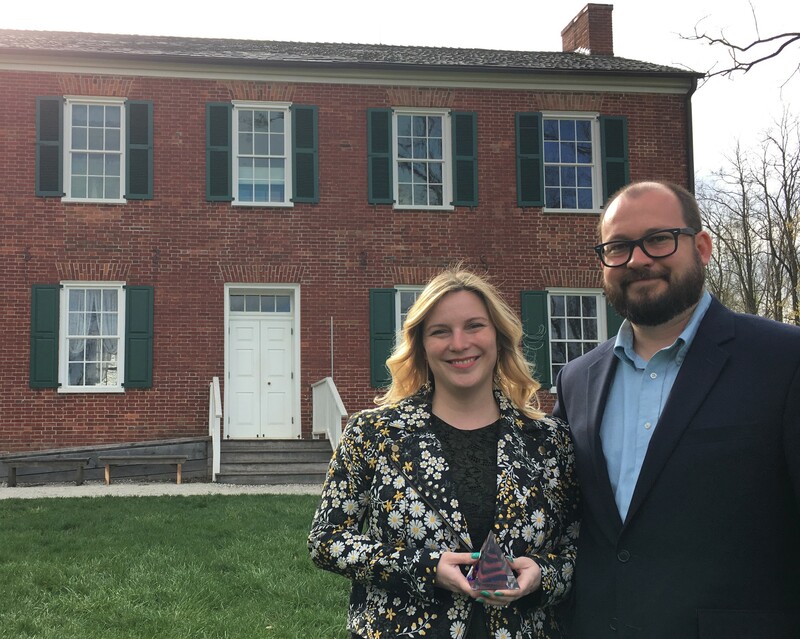 In 2017, Jamie Glavic of the National Underground Railroad Freedom Center in Cincinnati, OH received a Promising Leadership Award from the Association of Midwest Museums. She was nominated by colleague (and friend) Jesse Kramer, who is now the director of exhibits at Conner Prairie, Indianapolis, IN. One year later, we asked Jamie and Jesse to reflect on their AMM Awards story. She mentored me in a lot of ways. I wouldn’t be where I am today if it wasn’t for Jamie. It was awesome. You don’t really think about what you do on a day to day basis, and to have someone point out that you are doing a great job…. you get this extra burst of confidence that you know what you are doing. Jamie said she keeps her award in the middle of her living room at home, as part of a centerpiece display. It’s a constant reminder of her friend, and the value of her hard work. You know someone who deserves this type of recognition! There’s someone in your world who has been leading the way for years, has dedicated their energy to advancing your institution, or whose innovations are making your organization standout everyday. Learn more about the AMM Awards in the Call for Award Nominations and nominate them by May 14th!